Which web browser do you use? I hope it is NOT Internet Explorer because if it is then the chances are you are – how do I put this politely – er, really stupid…! 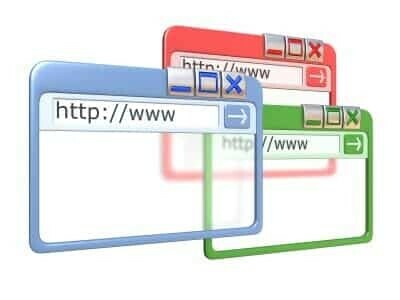 An interesting new study has shown that the choice of web browser is linked to intelligence, as measured by IQ tests. Typically, IQ tests always produce an average score of 100. People who use Internet Explorer have an average IQ of 80 (marginally above the old definition of being a “moron”). Meanwhile, people who use Opera have an average IQ of over 125 – the kind of IQ you need to get a degree. Firefox and Chrome users had an IQ of around 110, slightly more intelligent than the average population. The study is significant because it involved 100,000 web users, suggesting there is some degree of reliability in the figures. However, it might not actually show what it purports to show. It might show that Internet Explorer is much easier to use than, say, Opera, because you can use it even if you are relatively dumb. It could mean, for instance, that in order to use Opera or Chrome you need to be clever because they are relatively complicated. One thing is for sure, though – intelligent people tend not to use Internet Explorer. And that either means the alternative browsers are simply too complex (probably true) or that Internet Explorer is beautifully simple (perhaps). Either way, what it really means is that the browser producers have a long way to go before they produce something which has universal acceptance, in much the same way as a sheet of paper and a pen. It is more evidence perhaps that the people driving the Internet are still doing so from an “engineering perspective” and not a human one. There's a simpler explanation for the effect: IE users are mostly those who have just 'taken what they are given'. The intelligent tend to be more enquiring and experimental perhaps? Similarly Opera is a very niche product and comes with a price tag (or used to) so will probably only be used by those with significantly more disposable income – so selecting from a more intelligent pool. It's actually a good thing however that there are multiple browsers available – I and my colleagues use two on a daily basis to get different views (logged in and logged out for example) on the same material – not to mention reasons of diversity and innovation.